Is Saint Laurent Still Shocking Us? 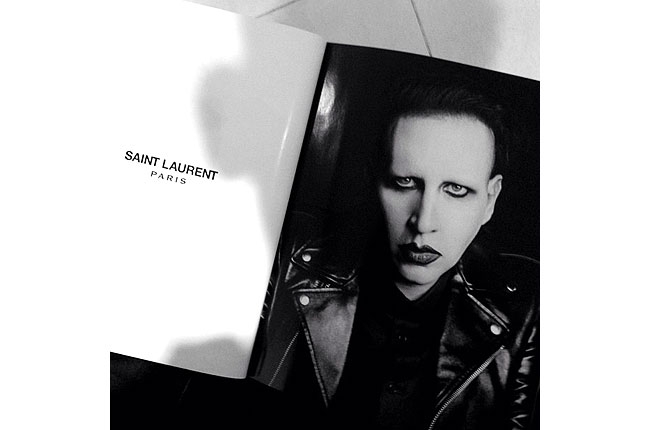 It was recently discovered that Saint Laurent will be using Marilyn Manson in their new ad campaign this upcoming season. Designer Hedi Slimane hasn’t stopped shocking the public ever since she started working for formerly known YSL, but is there such thing as too much shock value? I think it’s pretty obvious that this is what he’s going for, and hell, it is getting us all talking, but I’m not feeling like I’m rooting for the brand’s success. I’m more so left wanting to buy sweatshirts like these and see what 90s wash-up is ready to endorse them next. That being said, here is the ad, what do you think? So we all know right now that this is Jennifer Lawrence’s world and we’re just living in it. We’ve seen her throughout award season head to toe in Dior, but we have yet to see her campaign until now. Said to be seen in magazines in late March and April, Jennifer Lawrence has gone completely high fashion. I have to say, I’m loving the veil. Check out the photos below.